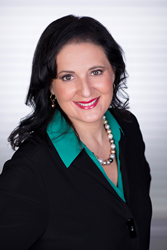 Legal marketing and law firm public relations expert Gina Rubel, CEO of Furia Rubel Communications, Inc., has been recognized by Lawdragon as one of the best legal consultants and strategists worldwide. She is listed in the 2018 Lawdragon Global 100 Leading Consultants and Strategists to the Legal Profession. About Furia Rubel Marketing and Public Relations: Furia Rubel Marketing and Public Relations is an integrated and strategic marketing, public relations and crisis management agency based in Bucks County, Pennsylvania. The certified woman-owned agency provides strategic planning, marketing, public relations, crisis management, business development, content marketing, and social media services to a wide array of professional service clients. Furia Rubel represents law firms and legal organizations, educational, nonprofit and religious organizations, financial, banking and accounting companies, governments and municipalities, behavioral health and elder care organizations, and pharmaceutical and biotech companies. For more information, visit http://www.furiarubel.com.